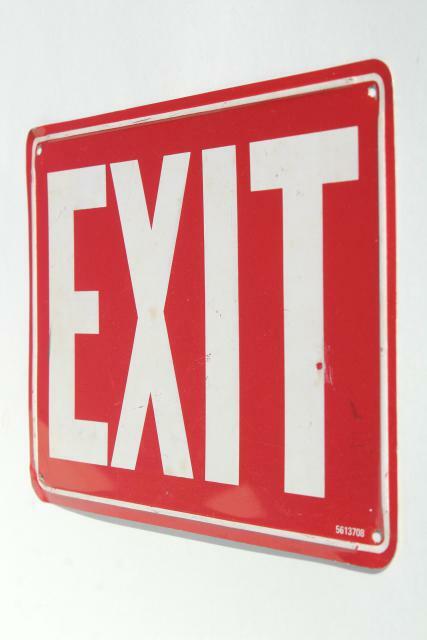 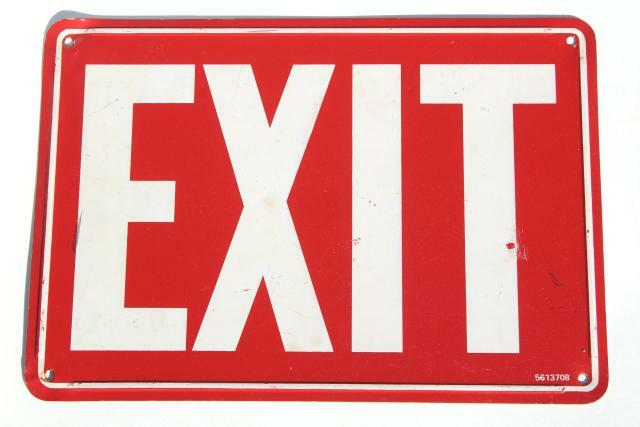 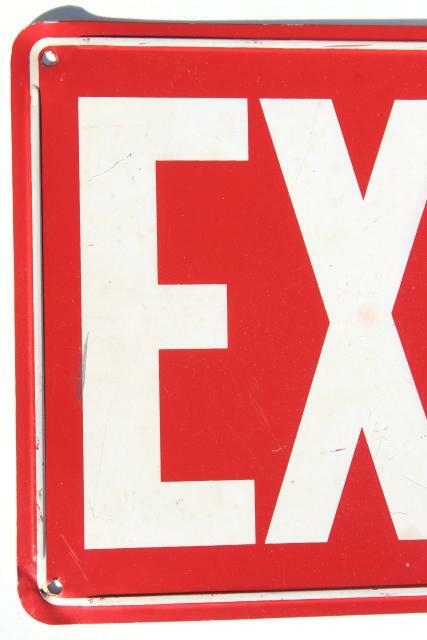 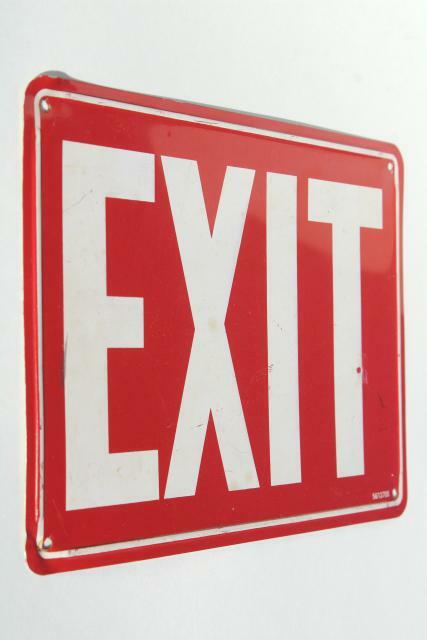 Lightweight metal sign marked EXIT, measures 7" x 10" overall. 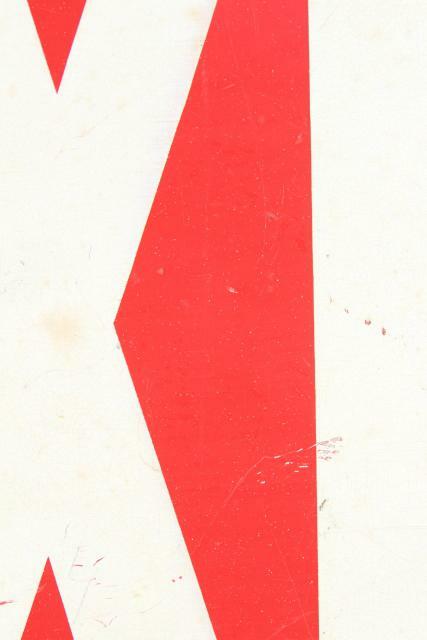 This is aluminum, we think? 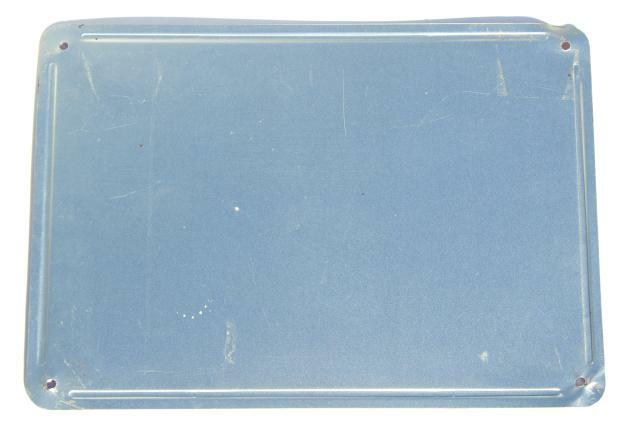 It's in good condition without much wear, unfaded.